In particular, the PCAOB said in a document published last week, it will provide an opportunity for audit committee chairs of companies whose audits are subject to inspection “to engage in a dialogue” with the inspections staff. One of the co-authors is Joel Schwartz, a former assistant director of enforcement of the PCAOB. Schwartz and his colleagues say that a meeting between an audit committee and the PCAOB may only be appropriate if the PCAOB assures the company that it has completed the inspection of the issuer’s audit and has not identified any deficiencies. “Even if there are no findings, issuers will not have any control over how the PCAOB reports the results of its interviews to the public,” which the PCAOB plans to do, say the attorneys. When an inspection finds audit deficiencies, of course, it can lead to restatements and potential liability for companies. In those situations, “there is a risk that audit committee chairs or issuers could be cast in a negative light,” judge the attorneys. The dialogue also “may be a gateway to enforcement activity,” they note. The PCAOB’s division of enforcement and investigations (DEI) only has the authority to act against auditors (at present), but it is “the DEI’s practice to share investigative results with government enforcement agencies, including those who have the authority to bring actions against issuers,” according to the Stinson Leonard Street attorneys. 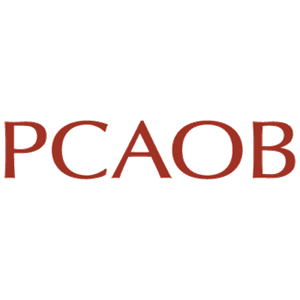 To prevent being caught by surprise if the PCAOB indicates it wants to talk to the audit committee chair, an issuer should include requirements in the audit engagement letter that the auditor inform it of PCAOB inspections or investigations in a timely manner.